The 54th Annual World of Wheels Auto Show | Hupy and Abraham, S.C.
It’s back! The 54th Annual World of Wheels Auto Show will feature classic and custom cars, trucks and motorcycles February 19-20, 2016, at Wisconsin State Fair Park in West Allis. Prepare yourself for three days of fun as the Midwest's best custom automobiles compete for cash prizes, the Master Builder Award, the first Milwaukee’s Best Award and much more. Back again in 2016, riders should be sure to check out the T.S. 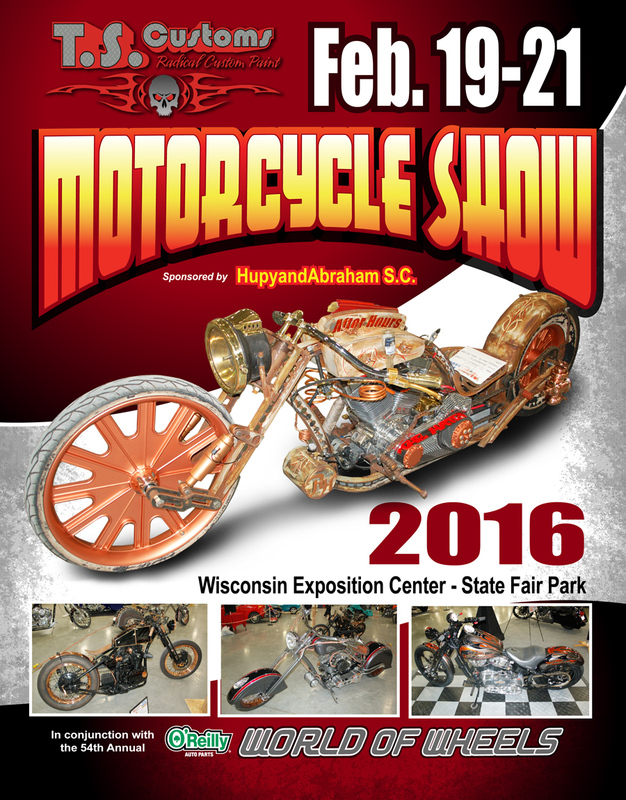 Customs Motorcycle Show, sponsored by Hupy and Abraham for the third year. The motorcycle show will feature classic and custom bikes from across the nation, courtesy of several local collectors. Once you’ve seen every hot rod and motorcycle at the show, make sure to check out the lovely ladies competing to be the 2016 Miss World of Wheels Pin-Up, celebrity guests like WWE World Heavyweight Champion “Big Show” and listen to rockabilly music from the Kevin Fayte Rock ‘N’ Roll Trio and the Liam Ford Band. There’s something for everyone at Milwaukee World of Wheels. Come visit the Hupy and Abraham Street Team at our sponsored booth, and pick up all sorts of free Watch for Motorcycles materials and other automobile-related safety information. See you there!